Easy Green gram sweet sundal and kara sundal recipe without soaking with step by step and Video – We call it as Pachai payaru sundal / Pasi payaru sundal in Tamil. 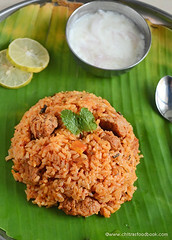 Generally We South Indians make sundal recipes for neivedyam without fail during navaratri festival. 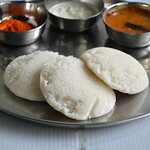 So I thought of sharing some sundal varieties this week. 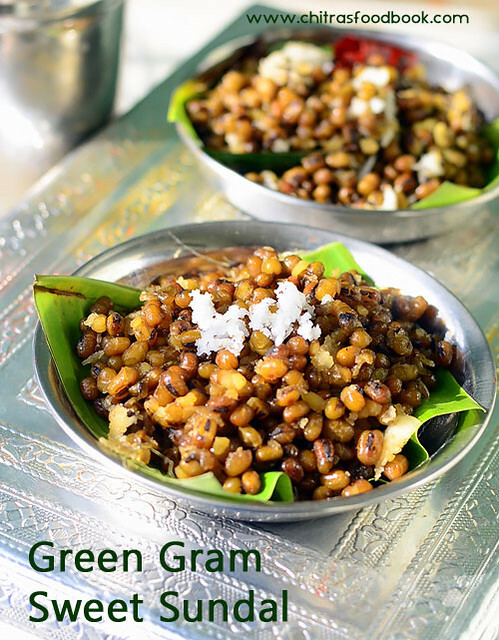 To begin with, I have come up with an easy green gram sundal recipe without soaking . 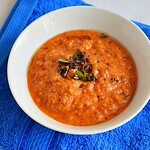 Usually people make green moong dal sundal by soaking it for hours together. But my MIL always make it instantly by roasting the dal. 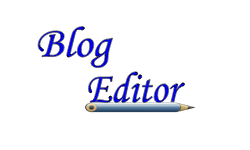 This year I followed her method as it is so easy and quick to make. 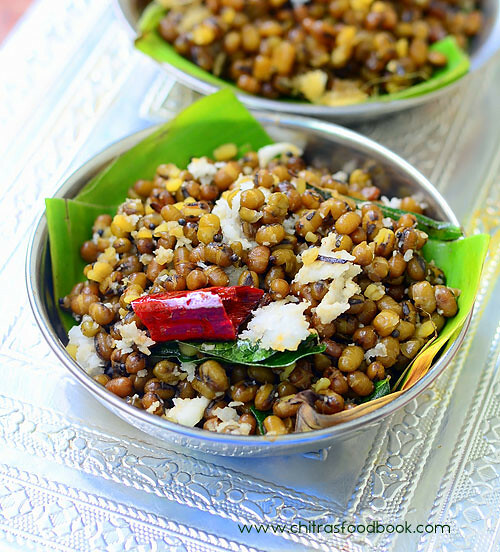 If you forget to soak the legumes or when you want to make sundal instantly, you can go ahead with this recipe. I prepared green gram sweet sundal and spicy sundal varieties. Both came out very well and tasty. But the color of this sundal won’t be green. 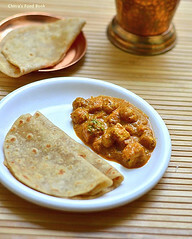 Hope you will try this easy sundal recipe and share your feedback with me. 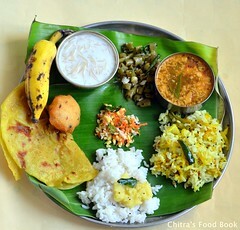 Ok, Lets see how to make pachai payaru sundal recipe with step by step pictures and video. 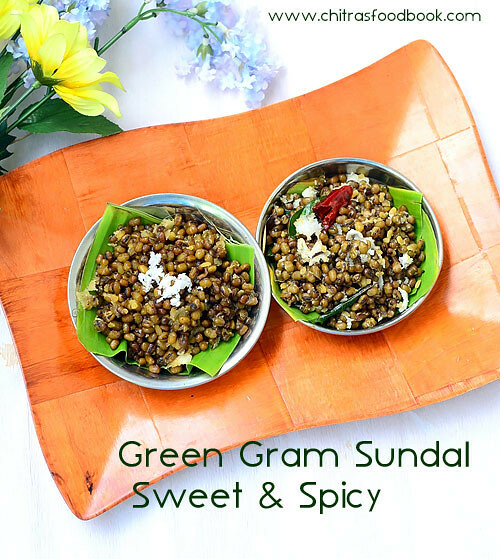 You can also check out my green gram sundal with soaking and my other sundal varieties. Heat oil in a cooker base. Roast green gram for 5 minutes. Nice aroma arises. Add water & cook in high flame for 7 whistles. Remove & drain excess water. For sweet sundal,melt jaggery adding water.Strain & boil for a minute. 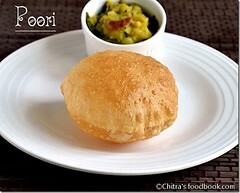 Add cooked green gram, cardamom powder, coconut.Mix & boil till slightly moist.Serve! For spicy sundal, temper mustard,urad,curry leaves and hing in oil.Add cooked green gram,salt and grated coconut.Mix well and serve. 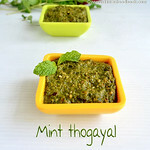 Heat oil in a cooker base and roast green gram till it gets roasted smell and turns slightly golden brown in color. Add 2.5 to 3 cups of water and pressure cook in low flame for 2 whistles or in high flame for 7 whistles. Remove after the steam is released.Drain the excess water using a colander.Let it become warm. For green gram sweet sundal : Heat and melt jaggery adding little water in a pan.Strain the syrup. Wash the pan.Add the syrup in the same pan. Let it roll boil. Put 1 cup of cooked green gram. Mix well. Add cardamom powder, grated coconut and mix well. Make sure this sundal is slightly moist in texture. Do not mix till its dry. Dal will become hard. So switch off the flame when there is slight wetness. 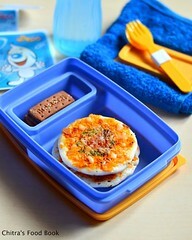 It will become normal when sundal cools down.Serve & enjoy ! For green gram spicy sundal: Heat coconut oil in a pan. Temper mustard seeds, urad dal, curry leaves, hing and pinched red chillies. Saute for a minute and then add cooked green gram, salt and grated coconut. Mix well & serve. Green gram sweet sundal and spicy sundal are ready ! This sundal won't be bright green in color as we are roasting the green gram. 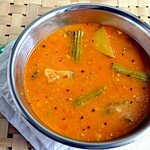 To get green color sundal, you need to soak the dal for 6 to 8 hours without roasting. 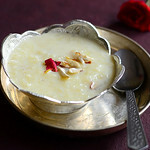 For sweet sundal: if the jaggery is pure, you can add grated jaggery directly to the cooked green gram. Mix till it melts. You can add some lemon juice to spicy sundal if you like. But add it after switching off the flame. 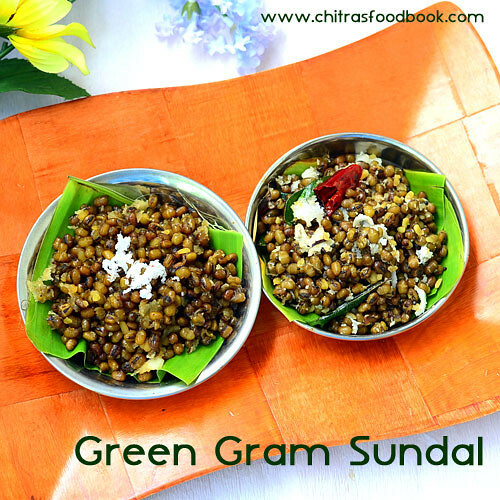 Try this easy, no soaking, Instant green gram sundal recipe and enjoy !